By using the Cell-Tower-Leases.com/TowerGenius.com website and any pages contained hereof, you agree to be bound by the terms and conditions below. If you don’t agree to the terms and conditions, please don’t access or use this website. 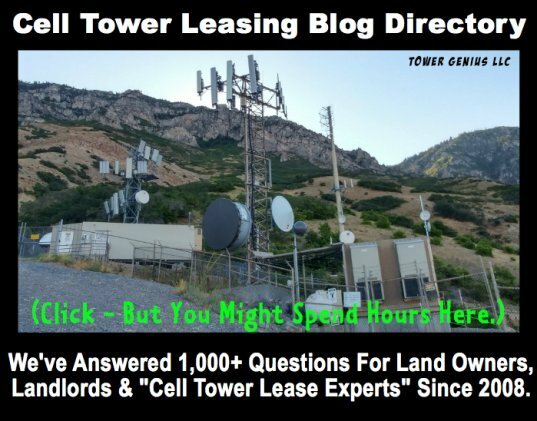 Cell-Tower-Leases.com is a informational and marketing website published by Tower Genius. WE ARE AN INDEPENDENT TELECOMMUNICATIONS CONSULTING COMPANY. WE ARE NOT REPRESENTATIVES NOR CONTRACTORS NOR AFFILIATED WITH VERIZON WIRELESS, SPRINT, NEXTEL, CLEARWIRE, CRICKET, AT&T WIRELESS, T-MOBILE, METRO PCS, ROGERS, TELUS, MOBILITY, AMERICAN TOWER, CROWN CASTLE OR SBA COMMUNICATIONS, OR ANY OTHER CARRIER OR TOWER COMPANY. WE ARE NOT ATTORNEYS, NOR ARE WE LEGAL ADVISORS OR TAX ADVISORS OR FINANCIAL ADVISORS. NOR DO WE OFFER TAX RELATED OR FINANCIAL ADVICE. IF YOU REQUIRE LEGAL ADVICE OR REPRESENTATION, HIRE AN ATTORNEY. NOR ARE WE REAL ESTATE AGENTS. By using Cell-Tower-Leases.com/TowerGenius.com you agree to use the information on this site at your own risk. Tower Genius publishes and operates this website. By submitting a Contact Form on Cell-Tower-Leases.com/TowerGenius.com you are doing so under your own free will or with the authorization of the individual for whom you are making the submission. By sending us your contact information you clearly understand that we MAY SHARE the information that you provided with a limited number of associates, but your information will not be distributed to third parties outside of the cell tower or rooftop cellular industry. By using Cell-Tower-Leases.com/TowerGenius.com and submitting your contact form you indemnify Cell-Tower-Leases.com/TowerGenius.com and Tower Genius from all liability and or damages that may result. As the Cell-Tower-Leases.com website is constantly under development, you agree to use the website “As Is”. Cell-Tower-Leases.com and Tower Genius are not responsible for possible errors in content or information contained in this website. Your use of Cell-Tower-Leases.com/TowerGenius.com constitutes your agreement to indemnify and not hold Cell-Tower-Leases.com and Tower Genius LLC liable from all and or any claims or damages that may result from the use of this website, INCLUDING ANY AND ALL CELL TOWER LEASE NEGOTIATIONS THAT RESULT IN THE SAID WIRELESS CARRIER DECIDING TO TERMINATE YOUR CURRENT LEASE OR SELECT A PROPERTY OTHER THAN THE SAID SITE LEASE THAT YOU CONTACT THIS WEBSITE ABOUT. Cell-Tower-Leases.com/TowerGenius.com and Tower Genius are not responsible for any fees or costs or damages that you may incur as a result of signing a cell tower lease as a result of visiting this website. Cell-Tower-Leases.com/TowerGenius.com and Tower Genius are not responsible for paying for any expenses associated with your wireless communications facility development (such as legal expenses, equipment rentals, filing fees, photocopies, property repairs, insurance premiums, per diem fees, notary fees or engineering fees, etc.). Cell-Tower-Leases.com/TowerGenius.com and Tower Genius does not guarantee the work or licensing of cellular carriers or subcontractors you may com in contact with as a result of visiting this website. By submitting your Contact Form you agree and understand that you are submitting a request to be contacted by a Cell-Tower-Leases.com/TowerGenius.com and Tower Genius telecommunications consultant and you are extending an invitation to be contacted by telephone or by email at the number(s) or email address(es) a you have provided, and you further consent to any such calls even if your phone number appears on any Do Not Call list. You indemnify Cell-Tower-Leases.com/TowerGenius.com and Tower Genius LLC from any claims of liability or from damages that may result of using this website. Cell-Tower-Leases.com/TowerGenius.com and Tower Genius makes every effort to provide information and content on Cell-Tower-Leases.com/TowerGenius.com that is accurate and reliable; however as with anything, we can’t guarantee 100% accuracy. Our website, information, content and services associated with Cell-Tower-Leases.com/TowerGenius.com and Tower Genius and are provided “AS - IS”. Cell-Tower-Leases.com/TowerGenius.com and Tower Genius disclaims any and all warranties of any kind whether expressed or implied as to any and all issues whatsoever that relate to this website or any content, information or services. You are using this website at your own risk. Cell-Tower-Leases.com/TowerGenius.com and Tower Genius is not liable for any losses, direct or indirect, punitive or any other damages that stem from or are connected with the use of Cell-Tower-Leases.com/TowerGenius.com and Tower Genius or website links to third parties. If you use this website you agree to indemnify Cell-Tower-Leases.com/TowerGenius.com and Tower Genius from all losses, liabilities, expenses, legal fees and damages that result from claims related to the use of our website and or website links to third parties. Cell-Tower-Leases.com/TowerGenius.com and Tower Genius may contain links to advertisements or other third party websites. These links are provided for information purposes only. Cell-Tower-Leases.com/TowerGenius.com and Tower Genius does not imply endorsement of any of the third party sites promoted in these links nor is either responsible for their content or liable for any and all damages that result from their use. Any dispute or claim related to the use of this website must be settled by arbitration in the State of Wyoming, County of Johnson. We value your privacy. 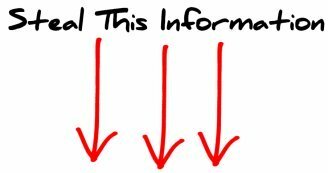 Cell-Tower-Leases.com/TowerGenius.com and Tower Genius can not and does not guarantee that the personal information you provide will not be intercepted by others. To protect your privacy Cell-Tower-Leases.com/TowerGenius.com and Tower Genius does not gather any financial information or sensitive information online, simply basic contact information on this website related to marketing and advertising and the location of your site. Cell-Tower-Leases.com/TowerGenius.comwill capture your IP address to verify the authenticity of your online submission of the Contact Form on our website. Cell-Tower-Leases.com/TowerGenius.com and Tower Genius is not responsible or liable for false or fraudulent contact forms being submitted containing your contact information that result in you being contacted by us. 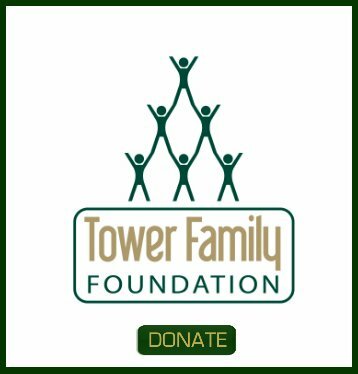 In the event that you are contacted and you did not fill out a contact form on this website, it is your responsibility to contact a Cell-Tower-Leases.com/TowerGenius.com and Tower Genius immediately in writing. Cell-Tower-Leases.com/TowerGenius.com and Tower Genius is an EEO/AA Employer M/F/D/V. We do not discriminate when hiring employees, contractors or subcontractors. 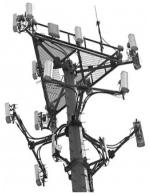 Cell-Tower-Leases.com/TowerGenius.com and Tower Genius does not discriminate in identifying and selecting, wireless services clients or any other viable cellular communications facility locations on any basis whatsoever. All contents of our website are: Copyright © 2008-2019. Cell-Tower-Leases.com/TowerGenius.com and Tower Genius LLC . 550 Mary Esther Cutoff Suite 18-223. Fort Walton Beach, Florida 32548 USA . All rights reserved. Tower Genius LLC is a Wyoming limited liability company.